When we need to control of our JellyBOX using our computer, be it for troubleshooting, development, or for show, we use Pronterface. 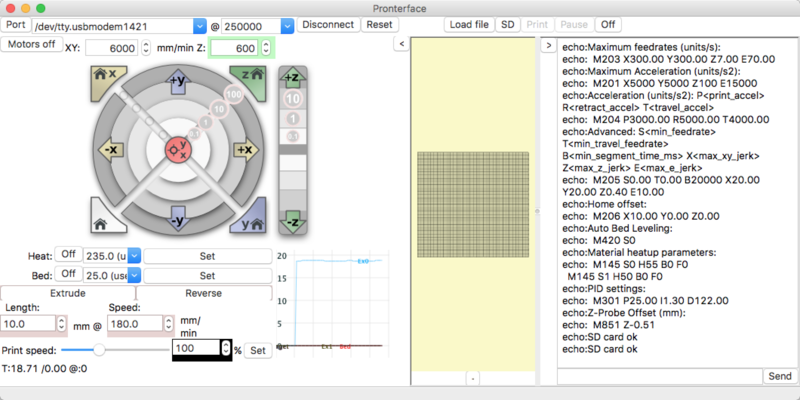 Pronterface is a 3D printing host– a program that allows direct control of 3D printers (including printing a sliced gcode) through a USB cable. 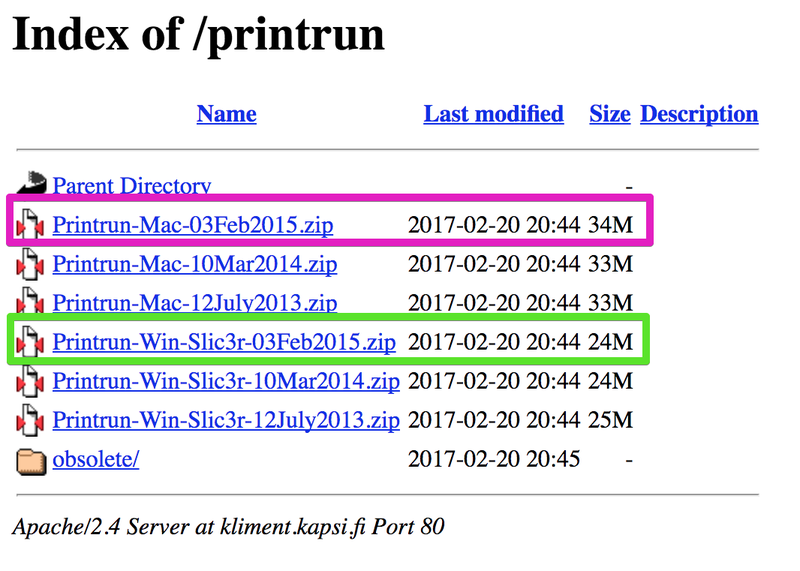 What sets Pronterface apart is its large and comfortable command line interface, and small footprint (it takes no space on your computer.) The interface is barely functionalist, but also highly functional. PS: Also, great simple macros. That’s your homework, you overachievers. On both platforms, Pronterface simply runs from whereever you put it. On Windows, I suggest creating a folder ‘Portable Applications’ on your Desktop. On Mac, I suggest dragging the app into your Applications folder just like all the other programs.